I’ve never celebrated Halloween all my life. No Halloween parties. No dressing up of any kind. No carving of pumpkins. But since the kids have come into my life, I’ve started to appreciate the cuteness of halloween outfits a whole lot more. 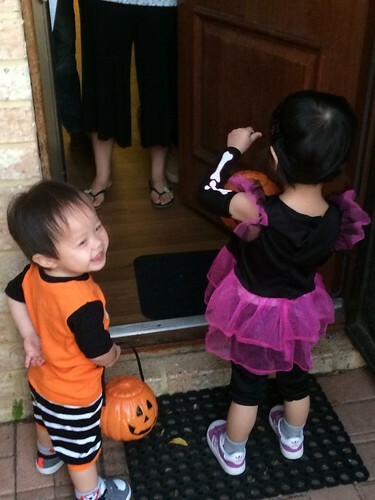 This year, the kids even came to my house for trick or treat hehehe. 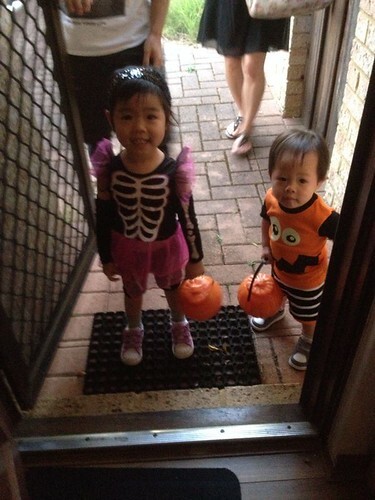 I had to specially buy pumpkin baskets with body part lollies and pumpkin cookies for them. The kids all giggly and excited at my door step. With their pumpkin basket of goodies. 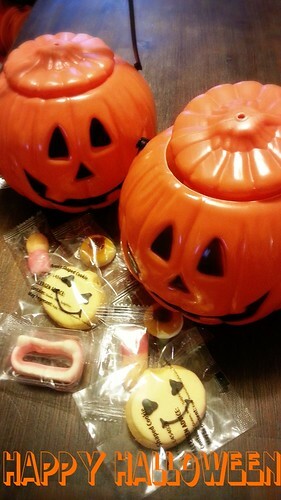 Knock, knock, knock … TRICK OR TREAT??! Hahahaha. 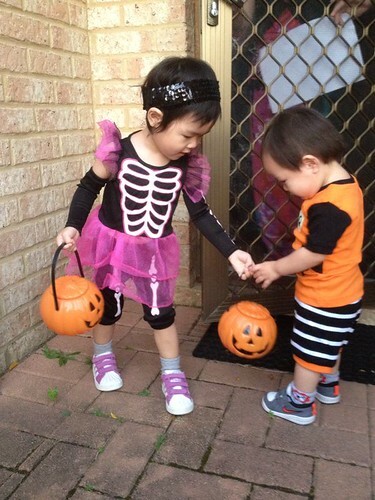 Super cute my funny bones niece and pumpkin nephew. It’s really fun being an aunty sometimes. I especially love it that both my niece and nephew now call me yee yee and give me hugs and kisses. Sigh, heart melts….can’t wait to spoil them during Christmas, woo hoo. During the morning of my driving test, I performed pretty poorly during my pre test warm up. My instructor turned to me and said ‘have you had your coffee today?’ When I shook my head no, he bought me a coffee and boy, did it wake me up! But before I was a coffee drinker, my first love was tea and I still love all sorts of tea today. Recently HC introduced me to a new brand of tea. It’s stronger and I have a daily cuppa at night (this can’t be good for me). 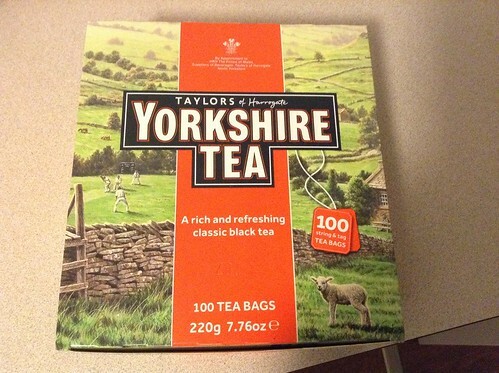 I also like its name, Yorkshire tea, because it reminds me of my favourite author James Herriot and his love for Yorkshire. Might be time to go back to old favourites and finding the simple pleasures in life. But I just wanted to stop for a sec to say that after a decade of broken resolutions, I finally got my driver’s license today (^___________^) so happy !!!!! We celebrated with a sister’s night out complete with cocktail fishbowls and cheesy mexican. It was lots of fun 🙂 yippee.